Every office removals will cost you much. So before getting such service, do some canvass. In fact, one way to prepare for your office relocation is by acquiring an estimated cost from moving companies. In this way, you will have better ideas of the total worth of this venture. Whether if it’s a small office or a big corporation, office move can be an intimidating task to do. Especially in the case of a large office set-up where the safety of assets is the top priority. That’s why it is important that you spend more time to carefully select the right company for this task. So to help you with it, we’ll give you some pointers on the things you need to do. See if you’re doing the right things as you as ask for multi quotes before hiring office removalists. There are different kinds of moving companies in Sydney that specialises in office removals and house move and they even offer commercial storage facilities. So, for safety purposes, you should select the one that is skilled and well-experienced in their field. They should be certified in doing the business move legally. For being in the industry for many years, their experience will guarantee success in your endeavour. As for advice by professionals, you can make a list of companies that you have been thoroughly researching. And after creating your list, you can now begin to ask for estimates. Selecting a reputable company will give you an assurance that your office items are in safe hand. You could collect most of the information you need in a short period of time by making phone calls or email. By doing this, you can have the estimates you need at the soonest time possible. Thus, for a better result, it is advisable to collect estimates from different service providers. This allows them to compete for a client’s business move needs. However, you should consider the safety of your possessions. And in this case, you should seek for a moving company that has a reliable work history of safety moves. Check some reviews and comments before taking any decisions. In order to get the best quotation, you need to provide a detailed information. With this, they will be able to provide accurate estimates. Your needs will be their bases in computing a valid estimate. Remember that rates will vary from one company to another. So, be thorough as possible when providing the office details to the moving company you are dealing with. As it is another way for you to receive exceptional service while you’re saving money. Let’s say that you can complete the removals process of your own, which is good. However, it is often not the most practical option. Note that your staff is unqualified for this task. They are untrained to do the job properly. And this may cause damage to your office possessions and put it at risk. With the help of the professionals in this field will provide you with peace of mind as your the transition takes place. After all, if you carefully plan your move completely, the entire removal experience will be seamless and stress-free. Preparing for office removals is often an overwhelming task. Hence, you will need to devise a plan on how to move your business while still serving your customers. So when the decision to relocate is final, the first thing you need to do is to make a canvass. Gather all the removal company to contact and ask for an estimate quote for your relocation. With this details on-hand you can make sure that you’re one step ahead of your office removal plan. Need to get some estimated office move costs? Business Relocation Services will be happy to serve you. Check our website and ask for an online quote. Contact us today and get your accurate quote based on the services you need. Or may also check our blog section for more useful removal insights that will help you out. 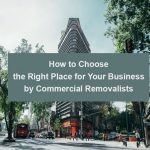 And if you’re much interested in hiring for removalists, then this article will help you check the key qualities of good removalists company. 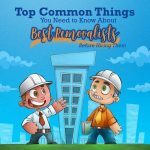 Top Common Things You Need to Know About Best Removalists Company, Before Hiring Them.